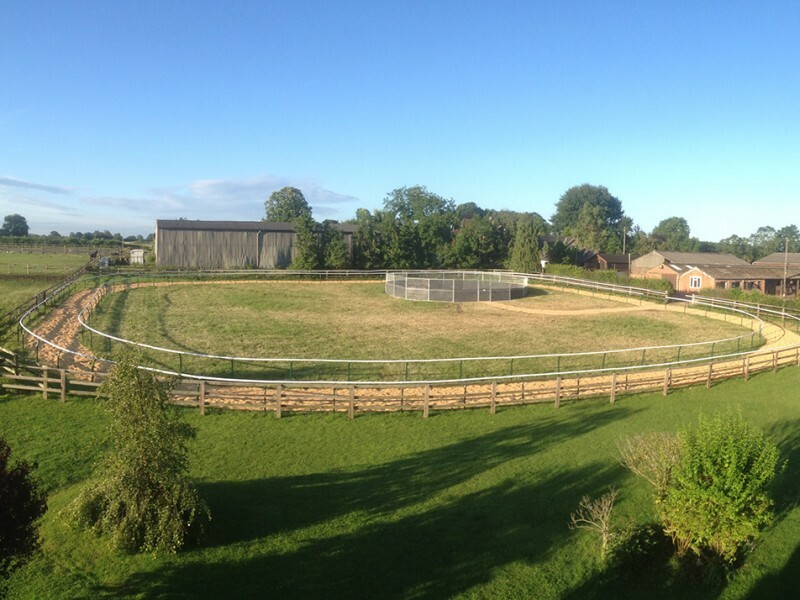 Four furlong ‘cushion track’ gallop with safety rails, the perfect environment for young and old horses alike. 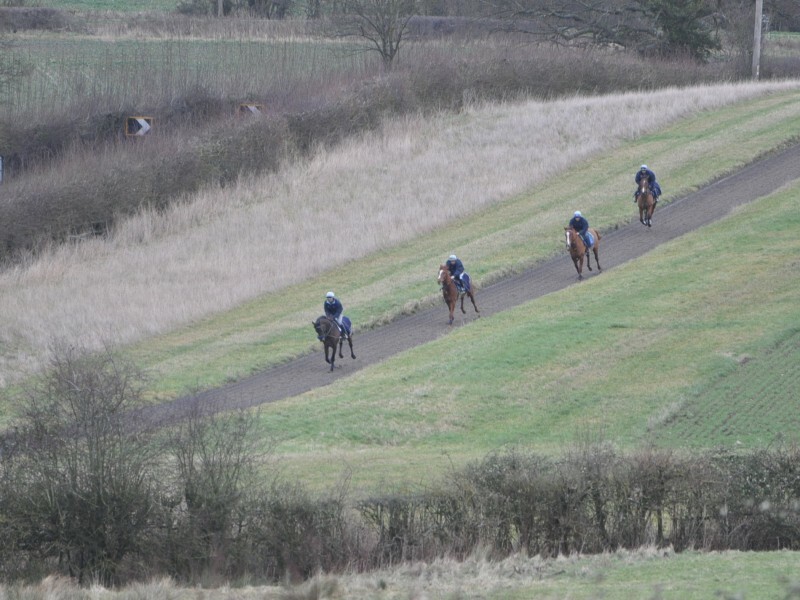 Three furlong uphill gallop used mainly by older horses for stronger canters and pieces of work. In its short life and it has seen close to two hundred winners trained on it. Newest addition to the farm, our ‘Equichip’ warm-up ring doubles up as nursery gallop in the winter where babies can take their first steps before graduating up to the main farm gallops. 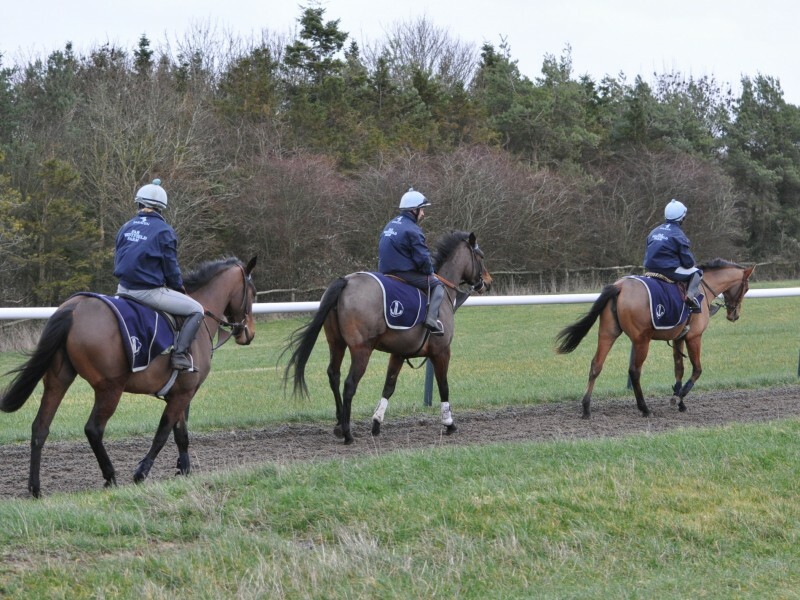 Established pasture that was formerly the farms schooling ground, the jumps have been removed and the turf provides us with a two furlong breeze-up gallop for horses preparing for the sales. This grass is meticulously maintained all year around. Our 5 stall indoor Claydon walker ensures safe exercise for young horses and older horses here at the farm for either rehab or having a rest. Allows us a safe area to examine and treat horses for a variety of reasons. Some of our clients like us to send their horse to the trainers comprehensively schooled, this includes starting gate practice. Jamie’s time in the US has taught him the importance of breaking well in a race and having horses behave professionally in the afternoons, he has many years experience with handling horses in the gate. With 135 acres of grass land we have extensive turn-out, we are working our way around the farm re-fencing the paddocks opening up more and more of the farm to turn out every year. Our two stall horsebox is always available to move horse to and from the farm. With trained staff to ensure safe travel.